Dive into the history of our church and the tiny village of Caldecote with our series of booklets. All of our publications are available to purchase in the church itself or for £3.50 including postage by writing to our resident historian Grazyna Tutak at 3 Eisenberg Close, Baldock, SG7 6TA. If you would like to order any of our publications please make your cheque payable to Caldecote Church Friends. A compendium of everything we know about the history of our little church going right back to the Domesday Book and covering everything in between. Professor Christopher Dyer looks at the history of Caldecote from its archeological discoveries and delves into its past up to 1600 including the founding of the church . 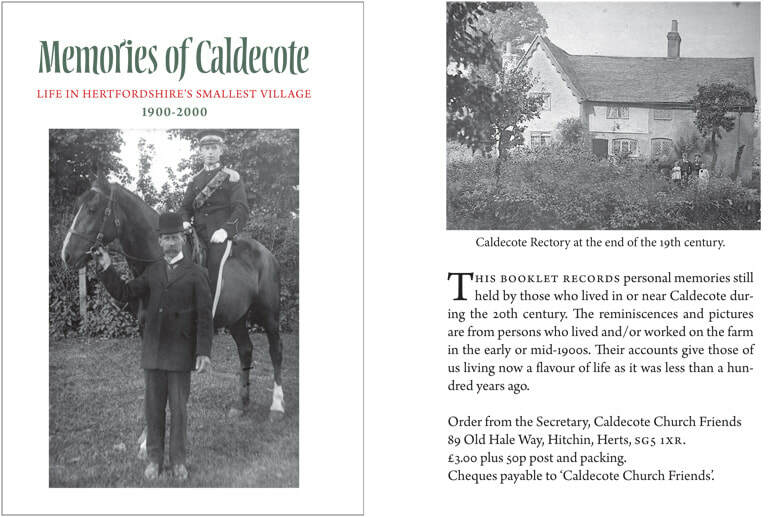 The history of the tiny village of Caldecote as told by those who lived and worked there. Discover what life was like in this small corner of Hertfordshire direct from those that lived it. 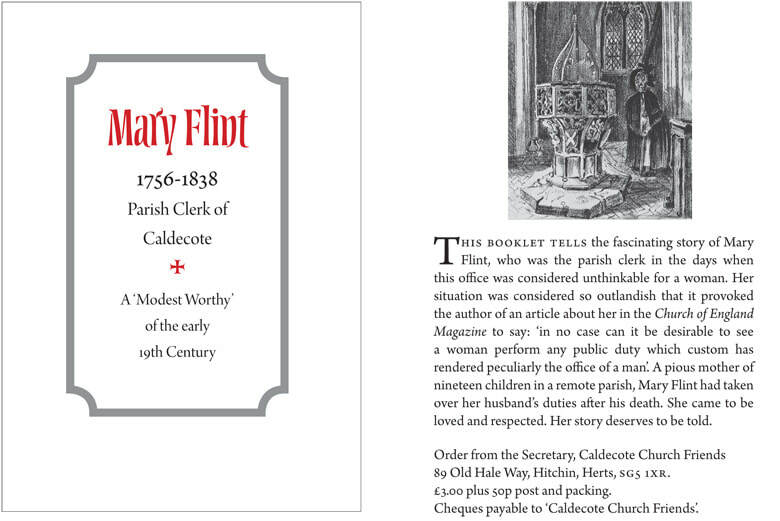 Discover the story of this remarkable lady of Caldecote who caused a certain disquiet by becoming Parish Clerk when such a role was a strictly male domain.